November 15 is the 319th day of the year(320th in leap years) in the Gregorian calendar.There are 46 days remaining until the end of the year. 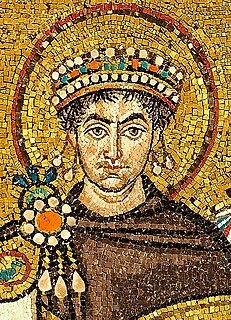 565 – Justin II succeeds his uncle, Justinian I, as emperor of the Byzantine Empire. 655 – Battle of the Winwaed: Penda of Mercia is defeated by Oswiu of Northumbria. 1532 – Commanded by Francisco Pizarro, Spanish conquistadors under Hernando de Soto meet Inca Empire leader Atahualpa for the first time outside Cajamarca, arranging a meeting on the city plaza the following day. 1705 – Battle of Zsibó: Austrian-Danish victory over the Kurucs (Hungarians). 1760 – The secondly-built Castellania in Valletta is officially inaugurated with the blessing of the interior Chapel of Sorrows. 1791 – The first U.S. Catholic college, Georgetown University, opens its doors. 1864 – American Civil War: Union General William Tecumseh Sherman begins Sherman's March to the Sea. 1889 – Brazil is declared a republic by Marshal Deodoro da Fonseca as Emperor Pedro II is deposed in a military coup. 1914 – Harry Turner becomes the first player to die from game-related injuries in the "Ohio League", the direct predecessor to the National Football League. 1915 – Winston Churchill resigns from the Government, and soon commands the 6th Battalion of the Royal Scots Fusiliers on the Western Front. 1920 – First assembly of the League of Nations is held in Geneva, Switzerland. 1920 – The Free City of Danzig is established. 1922 – Over 1,000 are massacred during a general strike in Guayaquil, Ecuador. 1928 – The RNLI lifeboat Mary Stanford capsized in Rye Harbour with the loss of the entire 17-man crew. 1933 – Thailand has its first election. 1943 – The Holocaust: German SS leader Heinrich Himmler orders that Gypsies are to be put "on the same level as Jews and placed in concentration camps"
1955 – The first part of Saint Petersburg Metro is opened. 1959 – The murders of the Clutter Family in Holcomb, Kansas were discovered, inspiring Truman Capote's non-fiction book In Cold Blood . 1966 – Project Gemini: Gemini 12 completes the program's final mission, when it splashes down safely in the Atlantic Ocean. 1967 – The only fatality of the North American X-15 program occurs during the 191st flight when Air Force test pilot Michael J. Adams loses control of his aircraft which is destroyed mid-air over the Mojave Desert. 1968 – The Cleveland Transit System becomes the first transit system in the western hemisphere to provide direct rapid transit service from a city's downtown to its major airport. 1971 – Intel releases the world's first commercial single-chip microprocessor, the 4004. 1976 – René Lévesque and the Parti Québécois take power to become the first Quebec government of the 20th century clearly in favor of independence. 1979 – A package from Unabomber Ted Kaczynski begins smoking in the cargo hold of a flight from Chicago to Washington, D.C., forcing the plane to make an emergency landing. 1983 – Turkish Republic of Northern Cyprus declared independence. Recognized only by Turkey. 1987 – In Brașov, Romania, workers rebel against the communist regime of Nicolae Ceaușescu. 1988 – Israeli–Palestinian conflict: An independent State of Palestine is proclaimed by the Palestinian National Council. 1990 – The Communist People's Republic of Bulgaria is disestablished and a new republican government is instituted. 2000 – A chartered Antonov An-24 crashes after takeoff from Luanda, Angola, killing more than 40 people. 2002 – Hu Jintao becomes General Secretary of the Communist Party of China and a new nine-member Politburo Standing Committee is inaugurated. 2003 – The first day of the 2003 Istanbul bombings, in which two car bombs, targeting two synagogues, explode, killing 25 people and wounding about 300. 2006 – Al Jazeera English launches worldwide. 2007 – Cyclone Sidr hits Bangladesh, killing an estimated 5,000 people and destroying parts of the world's largest mangrove forest, the Sundarbans. 2012 – Xi Jinping becomes General Secretary of the Communist Party of China and a new seven-member Politburo Standing Committee is inaugurated. Year 565 (DLXV) was a common year starting on Thursday of the Julian calendar. The denomination 565 for this year has been used since the early medieval period, when the Anno Domini calendar era became the prevalent method in Europe for naming years. Justin II was Eastern Roman Emperor from 565 to 574. He was the husband of Sophia, nephew of Justinian I and the Empress Theodora, and was therefore a member of the Justinian Dynasty. His reign was marked by war with the Sassanid Empire, and the loss of the greater part of Italy. He presented the Cross of Justin II to Saint Peter's, Rome. Year 621 (DCXXI) was a common year starting on Thursday of the Julian calendar. The denomination 621 for this year has been used since the early medieval period, when the Anno Domini calendar era became the prevalent method in Europe for naming years. Saint Malo was a mid-sixth century founder of Saint-Malo, a commune in Brittany, France. He was one of the seven founding saints of Brittany. Blessed Caius of Korea is the 128th of the 205 Roman Catholic Martyrs of Japan beatified by Pope Pius IX on 7 July 1867, after he had canonized the Twenty-six Martyrs of Japan five years before on 8 June 1862. Saint Didier, also known as Desiderius was a Merovingian royal official of aristocratic Gallo-Roman extraction. Francis Asbury was one of the first two bishops of the Methodist Episcopal Church in the United States. As a young man in October 1771, the Englishman traveled to America and, during his 45 years there, he devoted his life to ministry, traveling on horseback and by carriage thousands of miles to those living on the frontier. Abibus of Edessa (Habibus) (c.307–322), also known as Abibus the New, was a Christian Deacon who was martyred at Edessa, Mesopotamia under Emperor Licinius. The emperor ordered to arrest Abibus for his zealous spreading of the Christianity. Abibus appeared in front of his executioners not wanting any Christian to have been suffered during his searching. 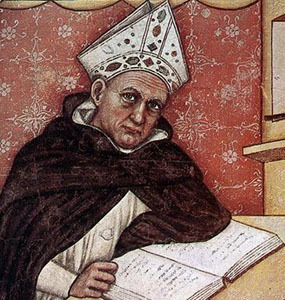 Albertus Magnus, O.P., also known as Saint Albert the Great and Albert of Cologne, was a German Catholic Dominican friar and bishop. Later canonised as a Catholic saint, he was known during his lifetime as Doctor universalis and Doctor expertus and, late in his life, the sobriquet Magnus was appended to his name. Scholars such as James A. Weisheipl and Joachim R. Söder have referred to him as the greatest German philosopher and theologian of the Middle Ages. The Catholic Church distinguishes him as one of the 36 Doctors of the Church. ↑ Haas, Benjamin (15 November 2016). "Hong Kong court bans pro-independence politicians from office". The Guardian. Wikimedia Commons has media related to November 15 .